Superb Enterprises Pvt. Ltd. is a leader in MEA Apostille Certificate Attestation. 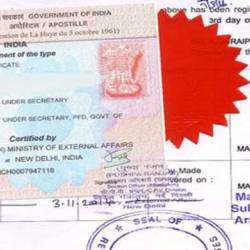 We lend out a helping hand in MEA Apostille Stamp of Education, Non-Education and Commercial Documents like Birth Certificate Apostille, Marriage Certificate Apostille, Degree Certificate Apostille. SEPL also assist in providing all types of Visa for all the countries around the globe.